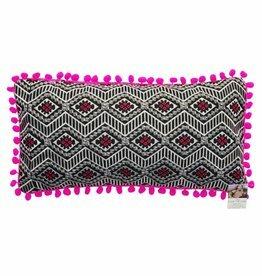 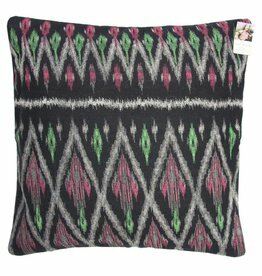 Fairtrade, HMONG-inspired, tribal cushion cover. 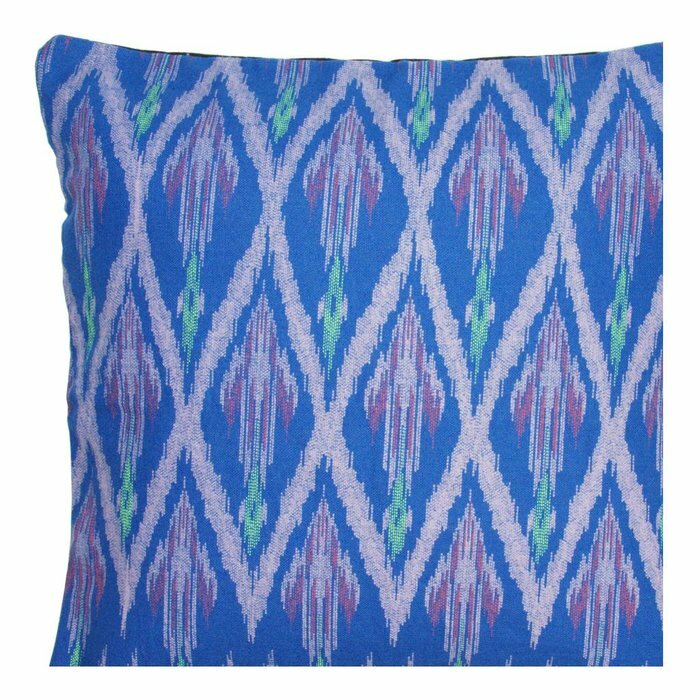 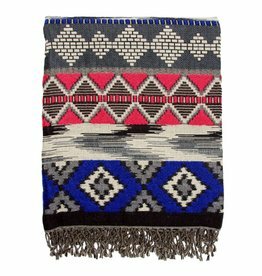 Made from 100% cotton with a beautiful blue tribal pattern on the front. 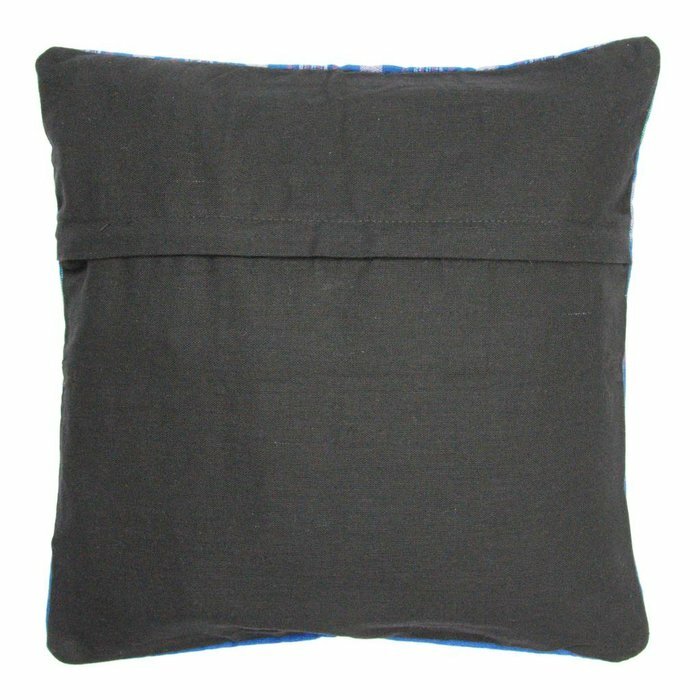 The black cotton back has a hidden zipper to easily add and remove the insert. 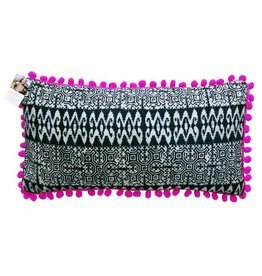 Each product is one of a kind. 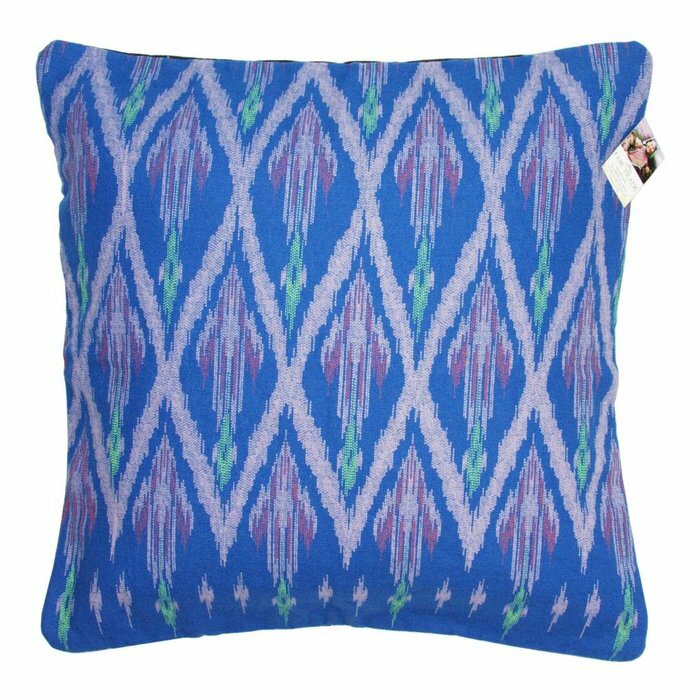 Handmade by HMONG women in the hill tribes of Thailand. All levels of the production process are environmentally friendly and promote safe working conditions and a good salary. 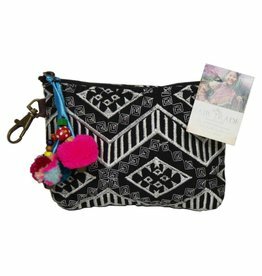 Details Fairtrade, handmade, unique, cushion insert not included.